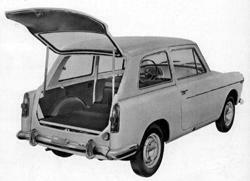 In 1960, BMC entered into a collaboration with Italian component and scooter manufacturer Innocenti, which saw the latter company produce BMC/BL-based models in Italy for the next 15 years. 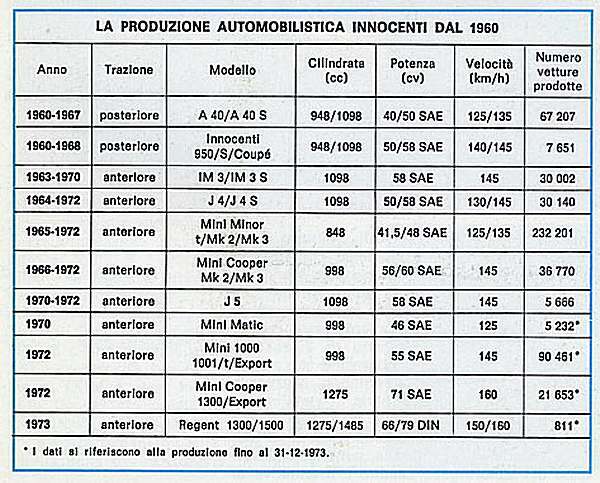 This page presents a brief rundown of these models, plus a potted history of Innocenti. 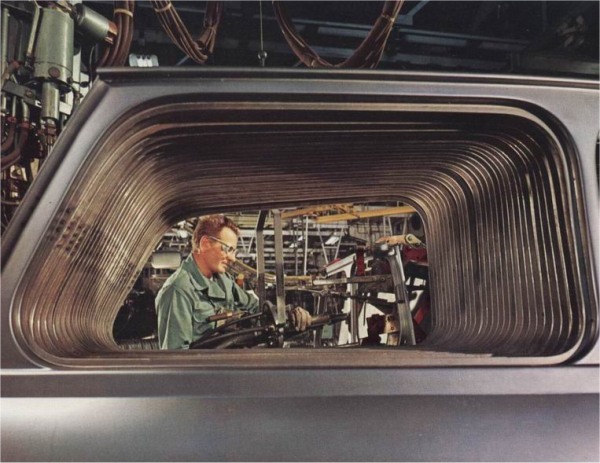 Innocenti was founded in 1931 by Ferdinando Innocenti, as a manufacturer of steel tubing. The company soon became very successful, due largely to its patented scaffolding system. 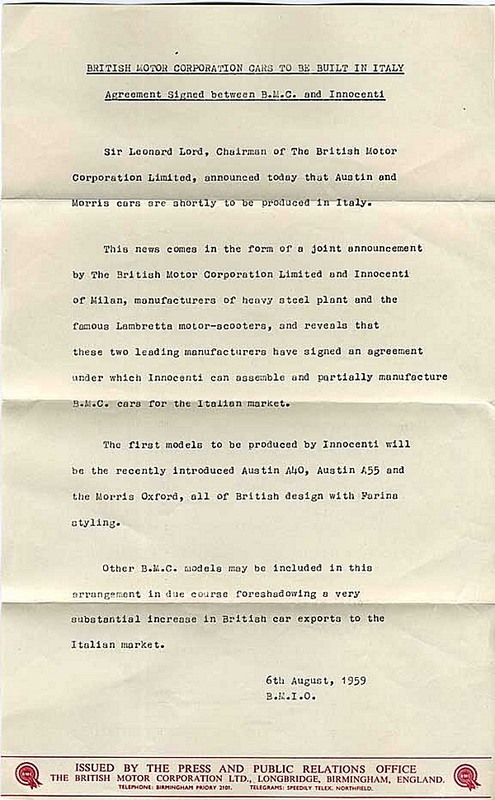 Following the Second World War, in which much of its production facilities were destroyed, Innocenti used generous Government grants to venture into scooter production at his rebuilt plant in the Lambratte area of Milan. He introduced the Lambretta in 1946, thus bringing mobility to the post-war Italian masses. 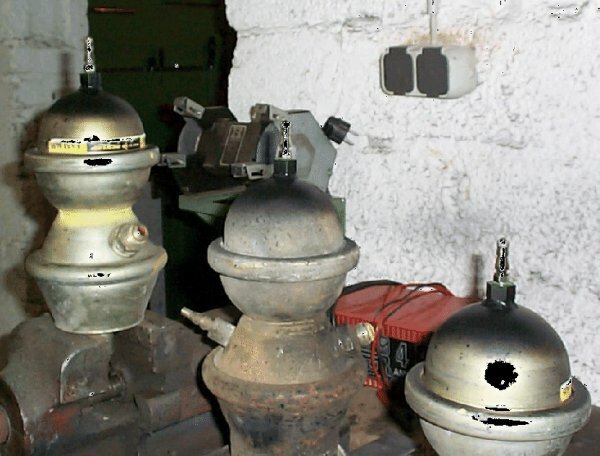 He later branched out into the manufacture of automotive parts and car-body presses for such companies as Alfa Romeo, Fiat, Ford, Lancia and VW. 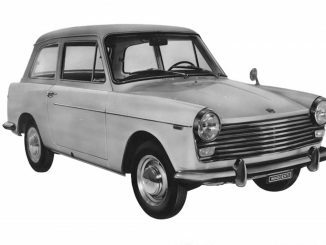 A collaborative deal with BMC, which was keen to get a foothold in the restrictive Italian market, saw Innocenti venture into car production, beginning in 1960 with the Innocenti-Austin A40 Farina in Berlina (saloon) and Combinata (estate) versions. 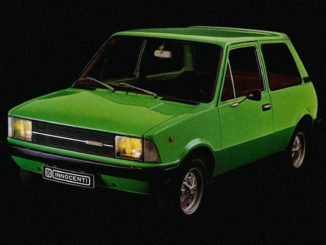 The Combinata was originally similar to the UK’s Countryman model, but later acquired a single-piece hatchback and other minor modifications. 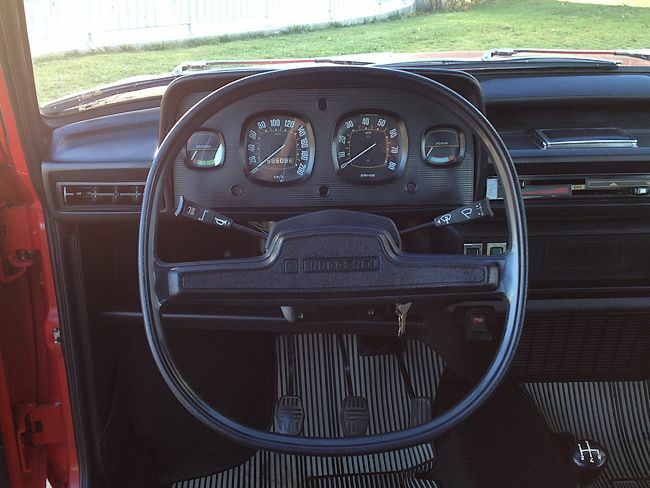 Next came the Ghia-styled 950 Spider sports car, based on the Austin-Healey Sprite. Both these models used the Sprite’s 948cc engine. In 1963, all models were upgraded by the fitment of the 1098cc engine, becoming the A40S (produced until 1967) and 1100 Spider (until 1968). A coupé version of the Spider was introduced in 1967 but discontinued in 1969. 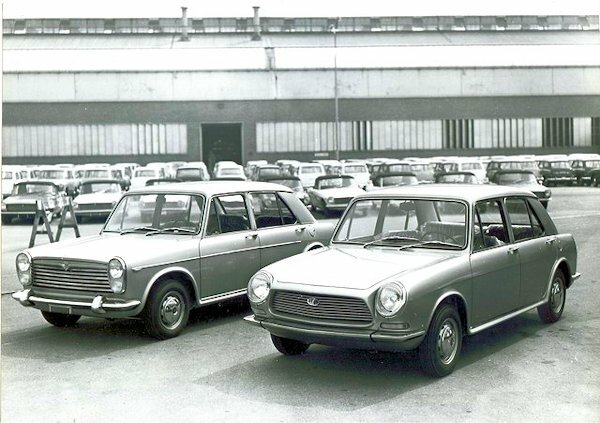 Production of the ADO16-based IM3 began in 1963 and other 1100 models followed: the IM3S and Austin I4, I4S and I5. 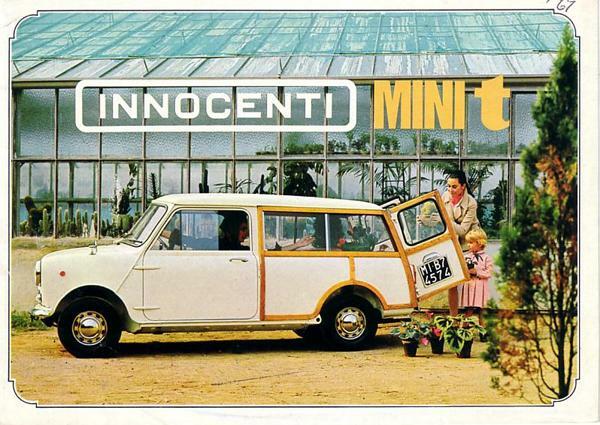 Innocenti also built Minis (including Coopers) in Italy from 1965 onwards and, in 1975, the company brought out its own re-bodied versions called the Leyland Innocenti Mini 90 and 120, with a three-door hatchback body styled by Bertone. These cars were exported to several countries in mainland Europe and also to Japan. 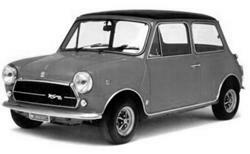 Additionally, the so-called Mini 1001 was built at the Seneffe plant in Belgium. 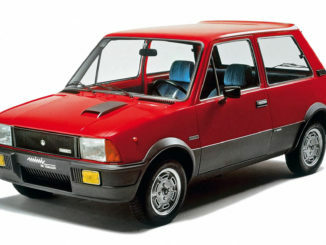 Following Innocenti’s death in 1966, his son Luigi became President of the company, but it lost direction and was heading for crisis when BL bought it for £3m in 1972. As BLMC’s Financial Controller at the time, Geoffrey Robinson travelled to the Milan plant to undertake an assessment. Impressed with what he saw, he set his heart on running Innocenti and managed to persuade Donald Stokes that he was the man for the job. 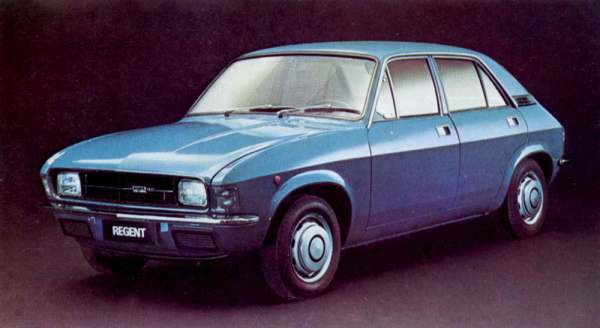 In fact, it was largely due to Stokes’ high (and some would say misplaced) regard for Robinson that funding was granted for the latter’s pet project: the Bertone-styled hatchback version of the Mini. 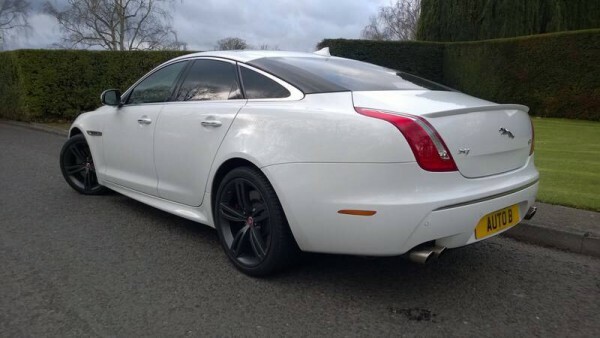 However, before this car saw the light of day, Robinson had returned to England in 1973 to take up the post of CEO at Jaguar, where he would make his name. 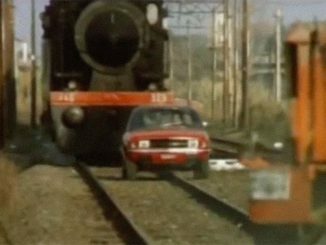 The failure of the Regent (Allegro) led to further losses and thus to Leyland’s withdrawal from Italy in December 1975. 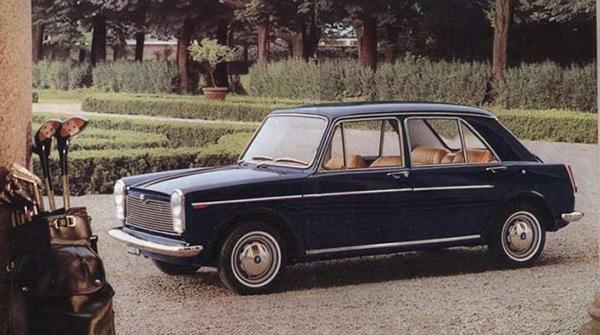 Innocenti was purchased by Alejandro de Tomaso, but only the Minis (both the original style and the Bertone-styled version) continued in production. 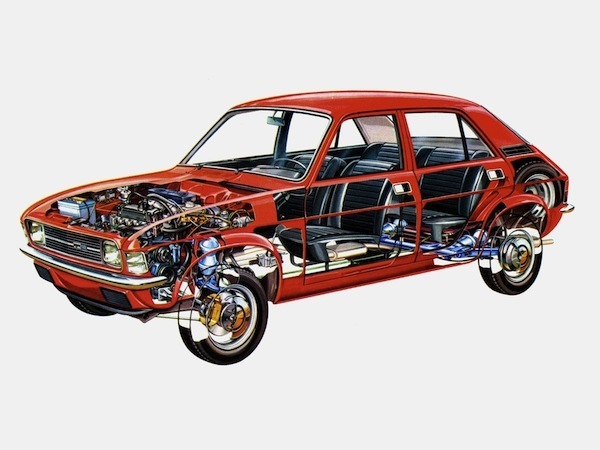 De Tomaso later struck a deal with Daihatsu which saw with the Bertone Mini gain the Charade’s three-cylinder, 993cc engine and transmission in 1982. 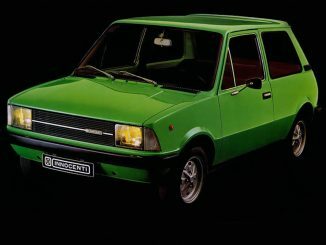 In 1990, De Tomaso sold Innocenti to Fiat and the Innocenti Mini’s days were numbered – production finally ceased with the closure of the factory in March 1993, but the Innocenti name lived on until 1996, on cars imported to Italy by Fiat (namely, the Yugo 45 and the Brazilian Uno-based Elba). Based on the Austin-Healey Sprite MkII (which also spawned the MG Midget), this stylish roadster was designed by the Italian styling house, Ghia. 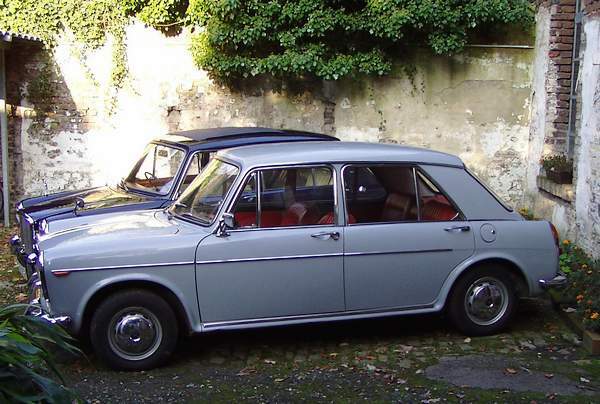 The best known of Innocenti’s models, produced in a variety of specifications including the original ‘Mini Minor’, the ‘Mini t’ (Traveller) and ‘Mini Cooper’, as pictured here. 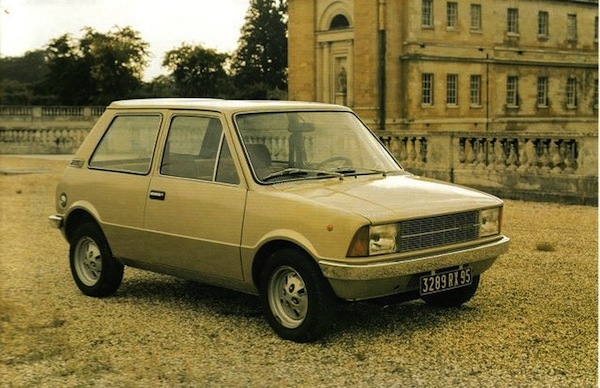 The Innocenti versions were often both better built and more luxuriously appointed than their UK counterparts and a few have found their way to these shores over the years. This page was contributed by Declan Berridge, with thanks to Gaetano Zagra and Giovanni Marchisio. 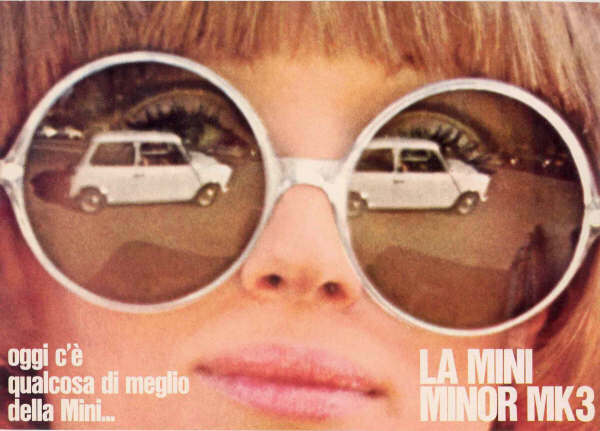 Opinion : What if BL had introduced the Innocenti Mini in the UK?